Do you need to drive more traffic to your website on the Internet? The team at Temi.co.uk can help you. Pay Per Click (PPC) is the fastest way to generate online traffic, using PPC, your business can start receiving new leads within a few hours of starting PPC campaign. Search Engine Optimisation (SEO) takes a bit more time to start repaying return on your investment, however it can be more cost effective than PPC. A mixture of both could be the answer to your search engine marketing needs, here is how we can help. We approach PPC account management in three simple, but extremely effective steps. Your PPC campaign is then launched. With regular monitoring and fine tuning, you can be sure you get maximum possible traffic for your outlay. Our PPC consultants have years of experience creating effective pay per click campaigns and have Google AdWord Certification. We can help you drive more traffic to your site for less money! Combining PPC and SEO is the most effective way to attract maximum traffic to your website. We can help improve your website’s visibility in popular search engines organically, using ethical white hat search engine optimisation techniques. Our search engine optimisation method is particularly effective at getting new sites that are just coming online listing very quickly. We can also fine tune and optimise existing websites that are not performing well in search engine ranking. With a deep understanding of search engine optimisation, from experience acquired over ten years, you can be sure we are well positioned to help you achieve your search engine ranking goals. We can also help with specialist SEO tasks such as helping penalised sites recover from penalty, on page search engines analysis and optimisation and website audit. We have helped small businesses with their SEO and PPC needs in all the major towns and cities in UK including clients from London, Herefordshire, Bristol, Edinburgh, Glasgow, Leeds, Manchester, Liverpool and more. Do you need to get your message across in Russian speaking countries? 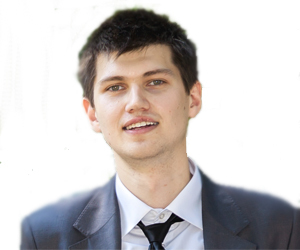 A members of our team Evgeniy Garkaviy is a native Russian speaker. Using his fluent knowledge of Russian, and the SEO and PPC expertise of the team, we can implement your SEO or PPC campaign in any Russian speaking country. Please contact us for more information.